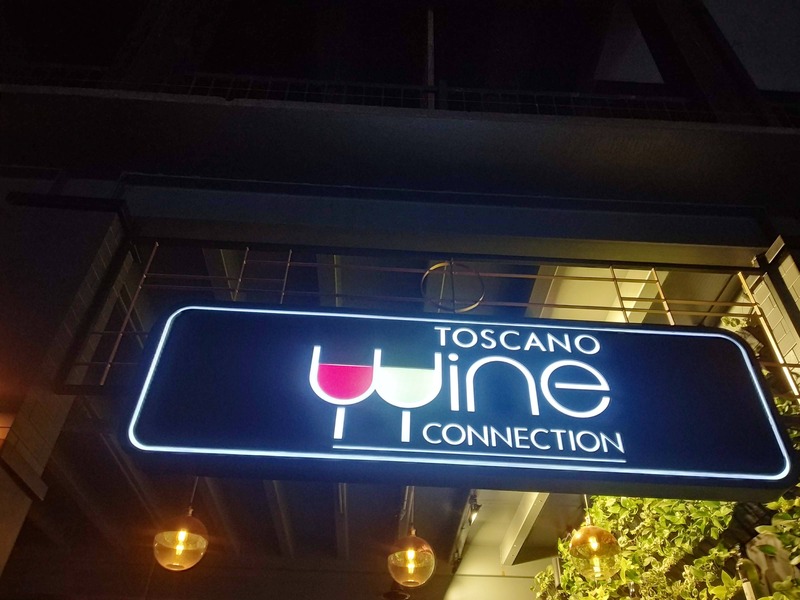 Ranked as the best Italian restaurant in Bangalore, Toscano opened its doors with a new outlet in Whitefield main Road which is Toscano, Wine Connection. This is like adding another feather to the cap with their brand in Bangalore that is opened to have a Wine bar where the customers have a chance to choose some of the best wines available from all over the world. Ambience: Its a fine dining restaurant with the interiors beautifully designed with seating arrangements available to cater groups of different sizes. They do also have an outdoor seating area where you can see the hanging garden at the entrance which gives a nice look to this place. They do have a wine rack in the restaurant to make the audience know what this restaurant is up to. Went with the staff's recommendations & ordered the dishes below for the evening. Every dish was unique & noteworthy. Drinks: 👉 Sangria Mojito - For the non-alcoholic lovers like me, This was a perfect choice. Loaded with fruits and best for the evening, Worth giving a try! 👉 Basil Orange - Refreshing Orange juice with basil & mint, pretty decent I would say. Food: 👉 Mediterranean Hummus, Bean Falafel: Classic Mediterranean dish wherein platter we had mini pita bread, bean falafel, breadsticks served along with Hummus & spicy Muhammara & olives :) 👉 Classic Manti: Kudos to the chef for the dish creation. Lamb meat dumplings just melt in the mouth, served with yoghurt sauce. Highly recommended! 👉 Sauteed Mussels: Never had mussels earlier, But this is a pretty decent experience to try as the mussels are sauteed in Italian way is served with herb bread toast so to balance the sea flavour! 👉 Chicken Tonnato: cold sliced chicken with tuna mayonnaise & capers. Love the creamy flavour yet I wish it can be a little spicy for the taste bud with olives & cherry tomatoes around the dish which helps in getting the extra flavour. :) 👉 All Season Pizza: You can't miss ordering pizza coming to a place like this, Its pizza perfection :) Thin crust pizza with generous topping along with cheese gives it niche taste! 👉 Fettucine Agilo olive: Traditional Italian Agilo Olive made with long cut pasta with butter sauce keeping it minimal without heavy cheese Desserts: 👉 Charcoal Smoked Cheesecake: Cheesecake baked on smoked aroma takes around 12 hours to be done. Served along fresh fruits is a must try for cheesecake lovers #MustRecommend! 👉 chocolate almond Flakes Steam Cake: Thick chocolate almond cake is my favourite dessert here, topped with almonds is served along the basil gelato, which was very refreshing. Loved it! 👉 Pistachio Brownie Tiramisu: setup on pistachio biscuit, Tiramisu is very good here. Coffee gelato came as a surprise along with it. Great work by Chef & team to set up such beautiful & flavorful dishes throughout our meal. Thanks to Somesh who took good care of our table! !